It seems I am way behind in communicating with you. My excuse is two hip replacement surgeries in the past ten months. I did manage a trip to Zambia in November/December. Sister Janice Klein, congregational president, and I scheduled a meeting with the newly elected leaders of the Presentation Sisters’ African Unit. 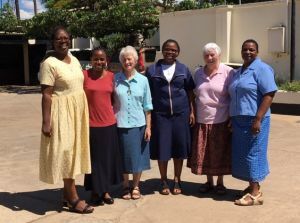 This Unit represents Presentation Sisters in Zambia and Zimbabwe. 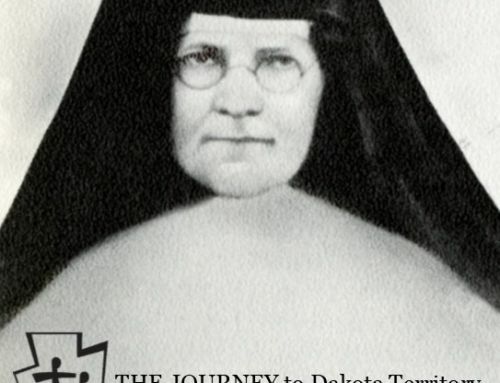 Sister Janice and I are pictured below with this new group. Sister Inez is in charge of the fish farm and takes on most of my tasks in my absence though I can still do much from Aberdeen via the internet and phone using WhatsApp. Sister Inez plans to return to India permanently in May, which will leave a huge gap in our Kaoma ministry. For this reason, Sister Janice and I wanted to meet with these new leaders who will be responsible for carrying on the projects that we developed over the last 11 years. During this meeting Sister Janice and I turned over the projects to the African leaders and made a commitment to partner with them for at least three years. This means that they will assign a sister to continue working with the projects, assisting the people in becoming self-sustaining. I will continue to provide oversight of the projects and the finances. 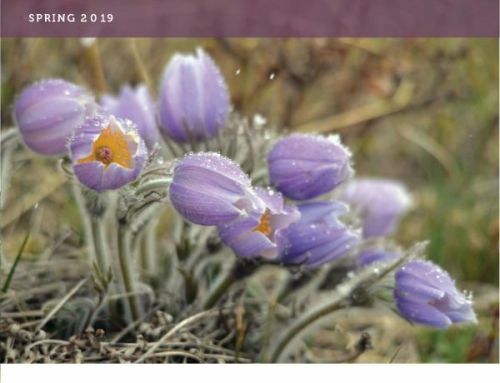 At the end of the three-year period, we will evaluate the work being done and the sisters’ plans for the future regarding these projects. We will then decide if we will continue fundraising for them as one of our international commitments. At this meeting, we talked about several changes that will be made. The greatest change will be in the Redmond Loan Fund. Presently, we are loaning the equivalent of $100 to women to open or to expand a small business. We have given loans to over 2,000 women. It is now time to make a change in how we are carrying out this project. 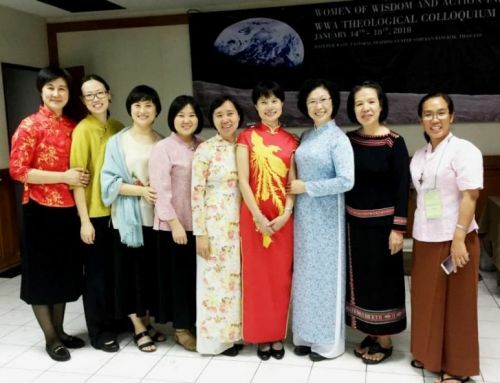 The African Unit sisters have established the Friends of Nano, which are lay men and women who make a commitment to carry on the Charism and Mission of Nano Nagle, foundress of the Presentation Sisters. 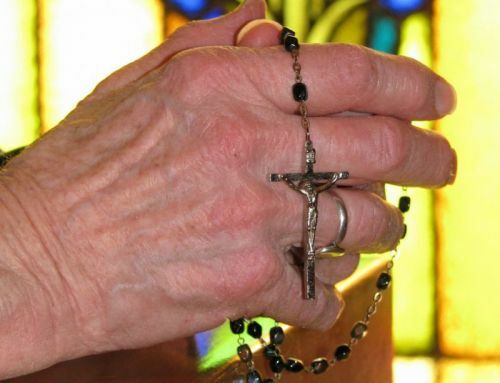 These people are dedicated to praying together and ministering to the poor and vulnerable. The Friends of Nano have formed groups in five locations, one being in Zimbabwe. We decided to make the loan fund money available to these groups so they can develop loan funds in their areas. I’m hoping to be able to return to Zambia in May for a month or two in order to work with Sister Lucy, who will replace Sister Inez. I will also do some marketing for them. Presently, two restaurants are purchasing our fish and I’d like to add a few more. I will also meet with NGO’s and others who might be interested in using our conference center. The groups that have used the center find it an excellent place to conduct their workshops and meetings. 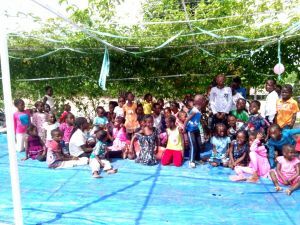 Just before Christmas, Mboma, our farm manager, went throughout the neighborhood inviting all the children to a Christmas party. Within a half hour, ninety children arrived to spend the morning playing games, listening to Caroline instructing them on the meaning of Christmas and of course they had a meal. We will be sending another container of Kids Against Hunger food to Kaoma. It will arrive at the time the people are in most need of food. Zambia had little rain this year so there will be little or no crops to harvest. This will add to their need for food. The Presentation Sisters in Africa have now officially taken over one of the schools in Kaoma. The Helmsley Charitable Trust has generously awarded us a grant for the construction of two science classrooms and equipment to support the enrollment of over 1,700 students, pre-K through grade 12. This is a most welcomed gift. In January, Mark Sperry and two Zambian youths spent several days in Kaoma. Mark is from Aberdeen, SD, working with the Peace Corps in northern Zambia. 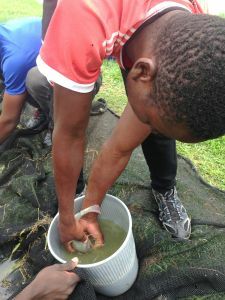 His primary work there is with fishponds so they came to Kaoma to learn more about raising fish. They had their first experience of removing eggs from the mouths of female fish and observing the process of hatching these eggs in our fish hatchery. Thank you once again for your support, your prayers and your financial assistance, which enable us to do all we do with those most in need in Kaoma. 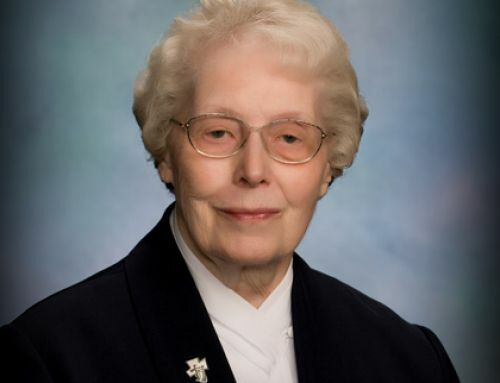 If you would like to help Sister Virginia in her ministry work in Kaoma, click here.